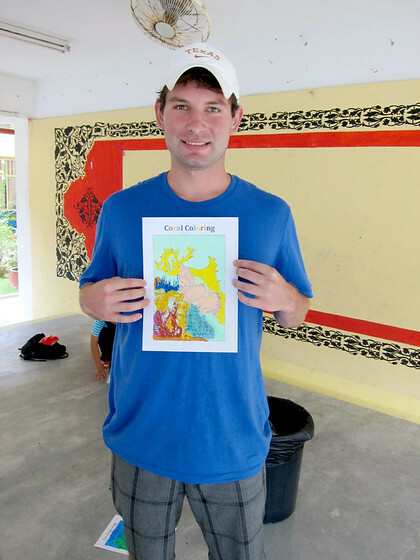 This week’s volunteer story is from Jason; he shares his experience volunteering in Malaysia and navigating the early days on the ground with a new placement. He shared his travel journey in more depth on his blog, GoldenbookTraveler.com, which shares the challenges and adventures that life has to offer. I left the United States in June of 2012 for a unique volunteer experience of a lifetime. An NGO project based within a village in Malaysia hired me to become their Volunteer Coordinator. This village, however, wasn’t like most villages I had visited. Located on a small island, the village was only accessible by boat. Also, all 1,200 villagers were Muslim except three: the project manager, the construction leader, and myself. I have been to a few culturally sensitive hotspots as a tourist in the past, but now I would be staying at Perhentian for a five-month term. In essence, I became a villager myself, living and working alongside the locals to accomplish the project goals. Below are the two most important lessons I took away from my time volunteering in the village. As a volunteer coordinator, there was nothing worse than seeing foreign volunteers and travelers disrespect the local community by ignoring their cultural way of life. If you want to get on the locals’ good side, follow their rules at all times. As long-term residents, we wanted to present a good image for the villagers and we helped where ever we were needed. Our jobs included teaching English to the school children three times a week, painting villagers’ houses, gardening, composting, eating with the locals (if you call that a job), and various other projects working directly with the locals. The two main rules we followed included a strict dress code and no alcohol. Tourists visited our village during lunch and dinner hours to indulge in some of the outstanding local food and to communicate the social norms, signs were clearly posted explaining the rules: girls cover up to the elbows and knees with no spaghetti strapped shirts, guys wear shirts and presentable shorts. While some disobeyed the signs, most tourists respected the request and followed the rules. In addition, alcohol consumption is strictly banned inside the village. After a long hard day of work, there’s nothing better than sipping a cold martini with my shirt off, while enjoying a beautiful sunset. This, however, would surely have gotten me voted off the island! When you’re volunteering overseas, be respectful of the locals’ rules wherever you are, especially if you work within a small community. You are lucky to experience a way of life most people do not get to see and truly experiencing boils down to respect. You are there to do a job and make a difference; the biggest difference you make, beginning to end, is with the people. What do I mean by genuine interest? Enjoy your time in the local community and learn from them as much as possible. For example, I really wanted to communicate and learn from the adults in Malaysia. The children were easy to communicate with because many knew bits of English and they loved playing games. On the other hand, most of the adults only spoke Malay. To communicate effectively, I had to learn some Malay. I spent an hour a day for three months learning this new language (I outlined how I learned Malay in this post: The Best Way I Know How to Learn a Foreign Language). Over time, I was able to pick up on many of the day-to-day conversations and I was greeted with a smile almost every time. In addition, some of the projects and ideas that my volunteer organization worked on began gaining more acceptance towards the end of season because, as a team, we had shown a genuine interest in the people and community. It may not be practical to learn the local language at every volunteer placement you participate in, but showing a genuine interest in the people and their way of life makes the experience more enjoyable for you, your program, and the local communities.